Andre Castaigne. 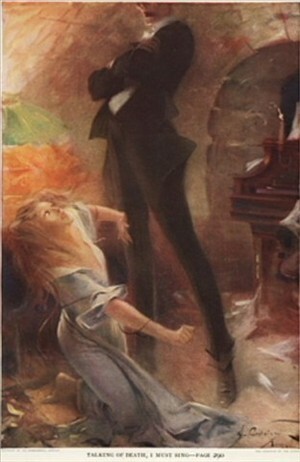 Original Leroux Illustration for First American Edition. "Talking of death, I must sing". Wallpaper and background images in the Das Phantom der Oper club tagged: photo. This Das Phantom der Oper fan art contains anime, comic, manga, cartoon, comic buch, karikatur, and comics.